Scope Boxes are a very useful tool to keep extents of views uniform across the project. There are a couple of ways to control their visibility. 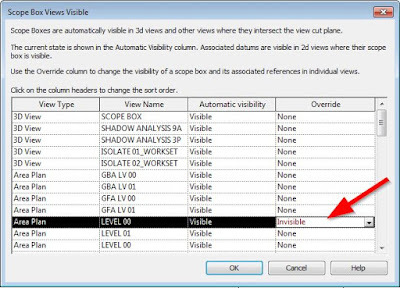 The obvious method is to utilise the Visibility Graphics Overrides to turn them on or off in views, but this method will control all of the Scope boxes together. 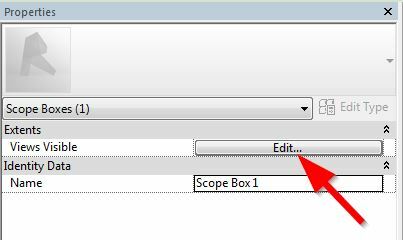 If you would like to control the visibility of Scope Boxes individually and pre-determine the views in which they will appear, this can be controlled in their Instance Properties. 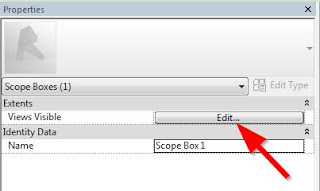 When a Scope Box is selected, in their Instance Properties there is a ‘Views Visible’ parameter. 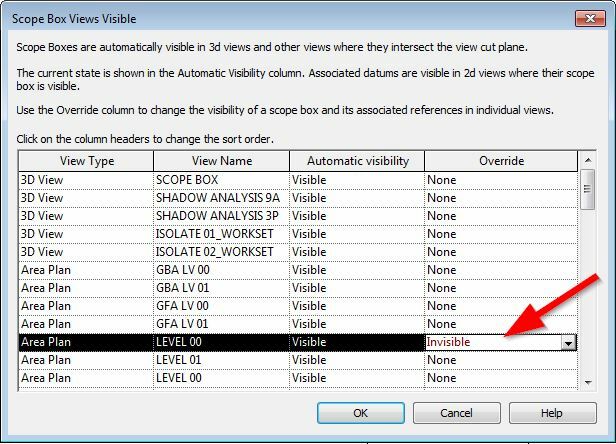 If this is selected it will bring up the ‘Scope Box Views Visible’ dialog box, where you can see which views the scope boxes are automatically visible and you have the ability to override their default settings to make them visible or Invisible specifically in each model view.